DUBAI, 2nd January, 2018 (WAM) -- DP World’s Jebel Ali Free Zone, Jafza, has welcomed Maysun Solar, the first photovoltaic panel producer to set up a manufacturing facility in the region’s leading free zone. Maysun Solar currently manufactures 5,000 solar panels a month with a capacity to generate 40 megawatts of electricity. The launch follows DP World's on-going solar energy project in Jafza and Mina Rashid Port involving the installation of 88,000 rooftop solar panels as part of its efforts to reduce carbon emissions. Sultan Ahmed bin Sulayem, Group Chairman and CEO, DP World, said, "The history of the UAE has been shaped by the vision of its leaders. This project represents another step towards transforming this vision into reality and integrating with the DP World Solar Programme, the largest and most ambitious roof-top solar energy project in the Middle East. "DP World fully supports the Shams Dubai initiative to promote the use of clean and renewable energy sources, and our Solar Programme is in line with the Dubai Integrated Energy 2030 and Dubai Clean Energy 2050 initiatives, launched by the Vice President, Prime Minister and Ruler of Dubai, His Highness Sheikh Mohammed bin Rashid Al Maktoum, as well as with the UAE Vision 2021 and the Dubai 2021 Plan. "DP World is committed to supporting sustainable business activities and building a green economy for future generations through such programmes and by providing an ideal investment environment that encourages renewable energy companies to innovate, research and develop." Maysun Solar plans to raise production capacity to 200 megawatts over the next three years, complementing DP World's efforts to support the Dubai government’s plan to make the emirate a world leader in alternative energy sources. 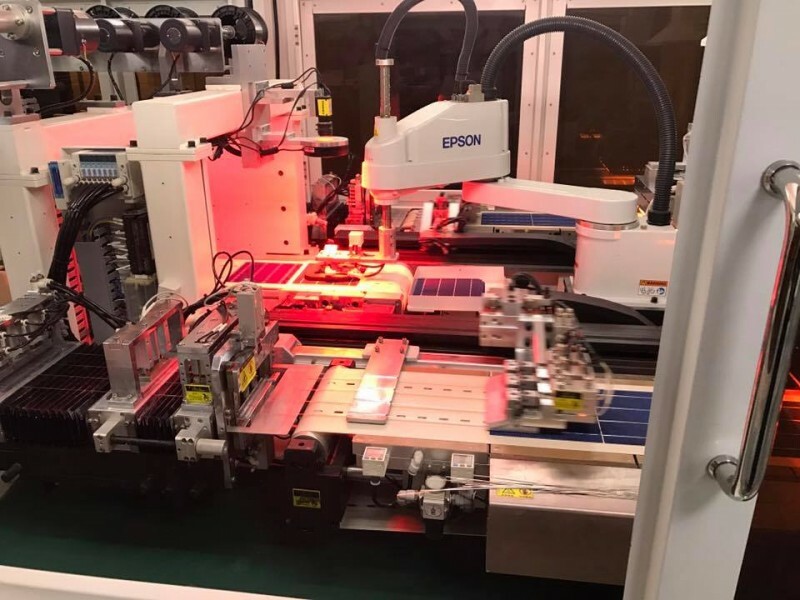 Sai Xuezhao, General Manager of Maysun Solar, said, "We intend to transfer all our operations and investments to Jafza over the coming years, raising investment in Dubai from $5 million to $10 million, as we are currently running at full capacity and have orders in hand for production up to November this year." Maysun Solar manufactures and exports its solar panels to the world as ‘Made in UAE’, with 30 percent of its orders coming from European markets, especially Germany and Poland, with 10 percent from the Saudi market. Mr. Xuezhao noted that the permission given to individuals and companies in Dubai to produce their own energy and to cut down on their electricity bills by installing solar panels on buildings has given a strong boost to the solar panel industry in Dubai. "The move will stimulate cities and countries within the region to follow the example of Dubai in the exploitation of solar energy," he said.